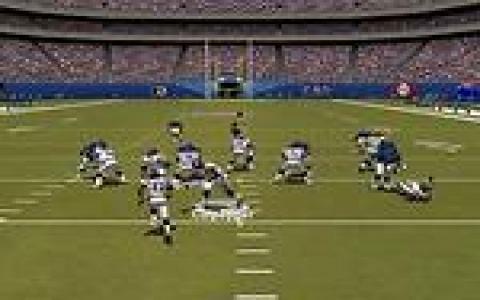 The John Madden series has long been the benchmark for American football sims, thanks to its combination of authenticity, superb graphics, innovative features and comprehensive game modes and have always made the franchise the one to beat. This edition remains a fine example of the sport and is perfectly suited to newcomers and to old hands who will find plenty to keep them entertained. 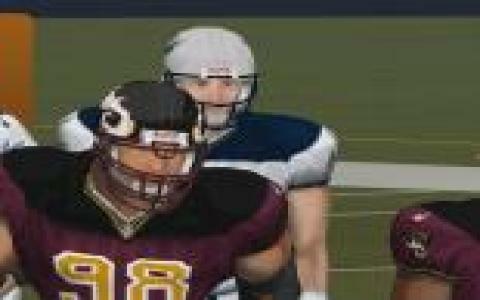 Madden 2003 sticks to the tried and tested formula of providing solid, bone-crunching sports action, but fortunately adds in a bunch of new features to keep the thrills coming. The graphics are obviously improved over previous versions, with new and more detailed animations for signature player moves, better cutscenes, enhanced player faces and lushly detailed environments to really boost the atmosphere. Gameplay too sees some serious enhancements, with faster response times, new moves, and improved player AI amongst other things. Personalisation goes to entirely new levels of detail, with completely customisable playbooks just the tip of the iceberg while game modes cover everything from football 101 for complete novices, to Minicamp where you run drills and learn all the necessary skills to be a great player, to full on tournaments. Presentation wise, the game scores highly too, with all the bells and whistles of the real life sport and which enhance the sense of immersion and realism. 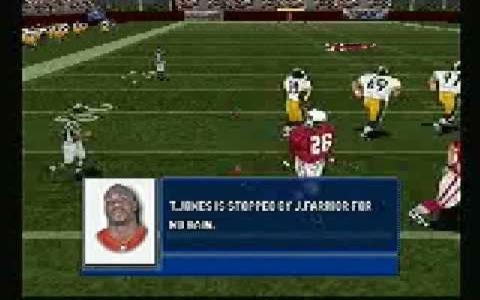 Really, there is nothing lacking here, and Madden NFL 2003 is a near perfect sports sim that offers fans all the detail, authenticity and depth they could hope for.